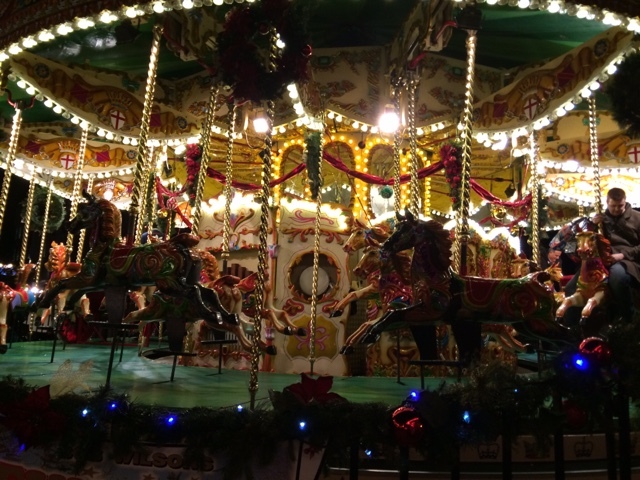 Every year since 2008 I have been to the German Market at least twice a year. This year I’ve been a countless amount of times because of college trips and everything! I first went with my friends when it was first opened, then yesterday I went with my Mom and decided I would write about it! 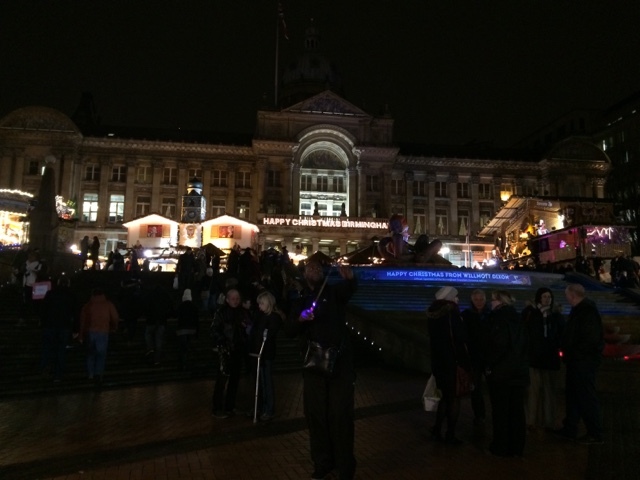 I love the atmosphere of the German Market and it certainly isn’t Christmas if you live in Birmingham and you haven’t been at least once in December! I just love walking around and feeling the warm atmosphere from everyone awaiting Christmas time. The stalls laced with decorations, gifts and food make me feel so festive! The stall I always go to is the Chocolate Fountain Company Stall, I love melted white chocolate over donuts it tastes absolutely delicious! Especially for £2 you can’t go wrong. My Mom had one of the spicy sausages from the stand nearest the steps and the town hall, which is always everyone’s pick for a German sausage – I don’t really eat them personally so I decided to pass on that one! The Ferris wheel and Library look gorgeous all lit up, but unfortunately the library had closed so I couldn’t take a photo from the outside balcony which I was fairly gutted about. 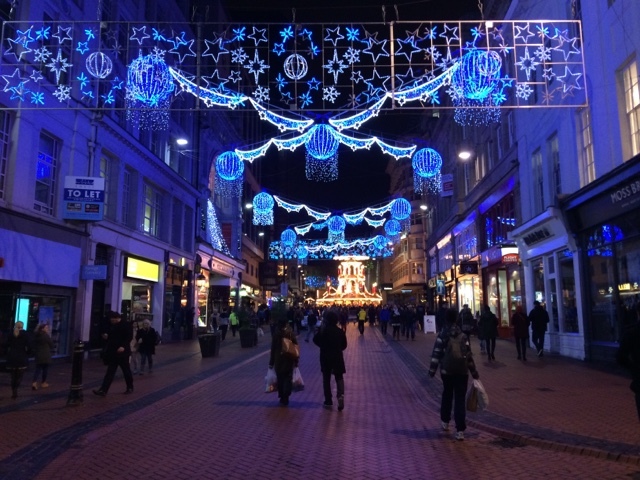 I’m so happy we have the Frankfurt market in Birmingham to visit, it makes everyone feel that little bit more festive and really gets you ready for the season of giving. 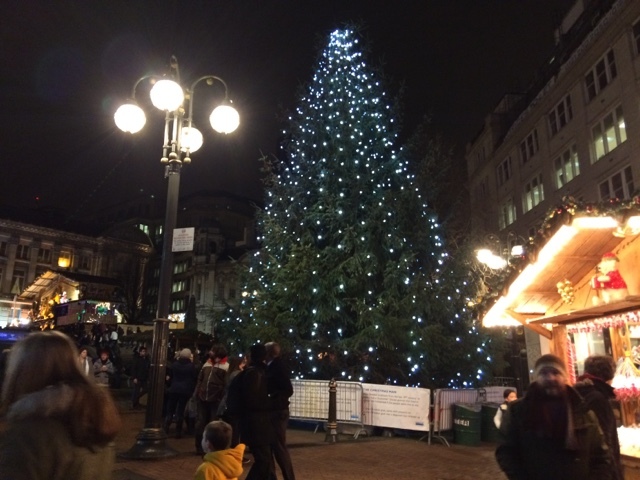 Do you visit the Christmas market in your city/town?